With school back in session and people always on-the-go, time is of the essence. If we could all have an extra hour in our day, I’m sure a lot of us would spend it making yummy breakfasts or lunches for ourselves. That options sounds better than spending a pretty penny buying out lunch or eating a cold sandwich that we quickly threw together in the 5 minutes before stepping out of the house. 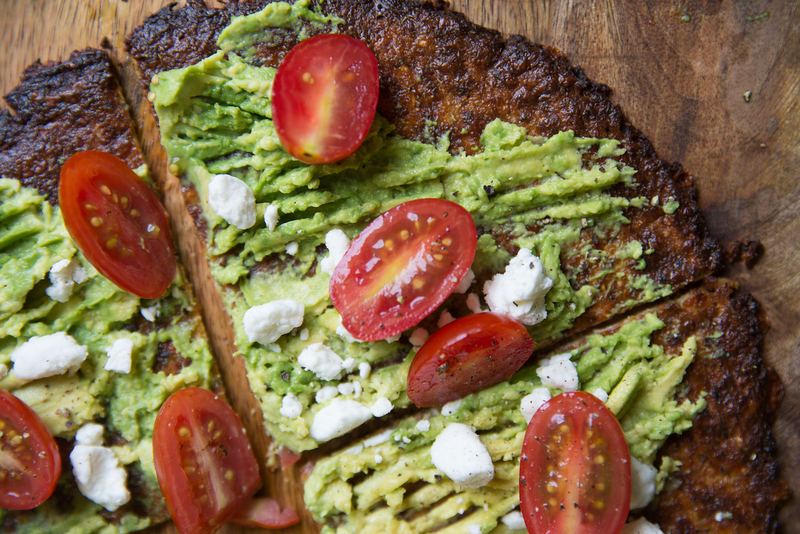 So whether you’re a student, professional, or someone who just wants to eat good food, here is an easy and quick recipe you can make for Avocado “Toast” Pizza. Bake crust for 12-15 minutes, flipping halfway. Tom with smashed avocado, tomatoes, and crumbled cheese of your choice. Garnish with fresh black pepper and sea salt (optional). The best part about this recipe is that you can add or substitute any of the ingredients to truly make a custom “toast” pizza for yourself. Add some prosciutto or sausage, substitute the avocado with marinara or cream cheese…there are so many combinations to try! Cauliflower Pizza Crust is available at Mollie Stone’s Markets. Don’t forget to share photos of your food creations with Califlour Foods’ Cauliflower Pizza with us by using the hashtag #CauliflowerPizza and #CookingWithMollies on Instagram or Twitter. Learn more about Califlour Foods, the company behind Cauliflower Pizza Crust!